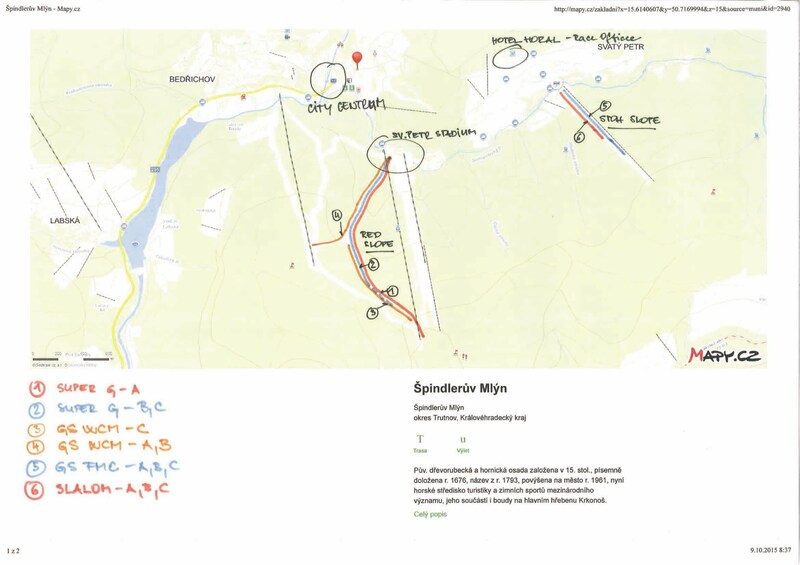 Piste and Race Piste Maps for Spindleruv Mlyn are viewable below. 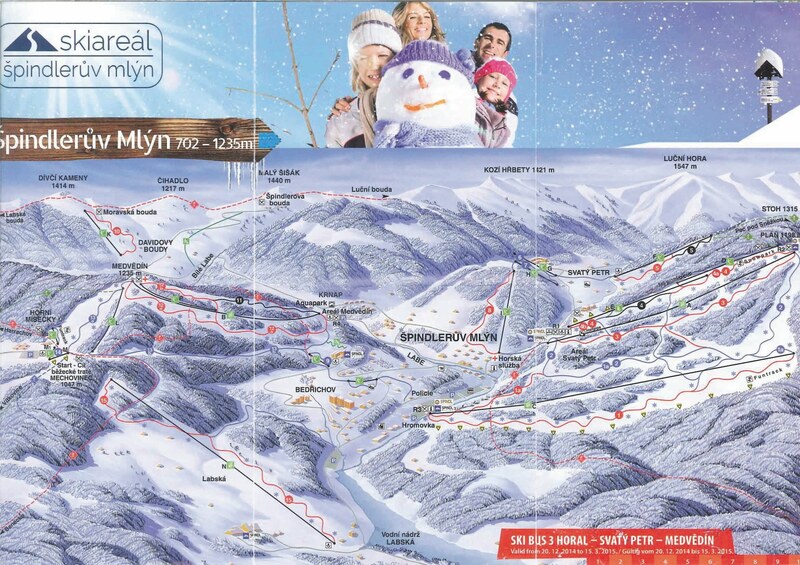 A downloadable pdf map is also available here: 2016 WMC Spindleruv Mlyn Maps or from our Information page. Thanks to Ingrid Christophersen, GBR FIS Masters Delegate, for this information.